Today we're announcing that Facebook has designed and tested an open source and cost-effective, software-defined wireless access platform aimed to improve connectivity in remote areas of the world. The platform is designed to improve connectivity since it can be deployed to support a range of communication options, from a network in a box to an access point supporting everything from 2G to LTE. We aim to work with Telecom Infra Project (TIP) members to build an active open source community around cellular access technology development and to select trial locations for further validation of technical, functional, and operational aspects of the platform. As of the end of 2015, more than 4 billion people were still not connected to the internet, and 10 percent of the world's population were living outside the range of cellular connectivity. Despite the widespread global adoption of mobile phones over the last 20 years, the cellular infrastructure required to support basic connectivity and more advanced capabilities like broadband is still unavailable or unaffordable in many parts of the world. At Facebook, we want to help solve this problem, and we are pursuing multiple approaches aimed at improving connectivity infrastructure and lowering the cost of deploying and operating that infrastructure. 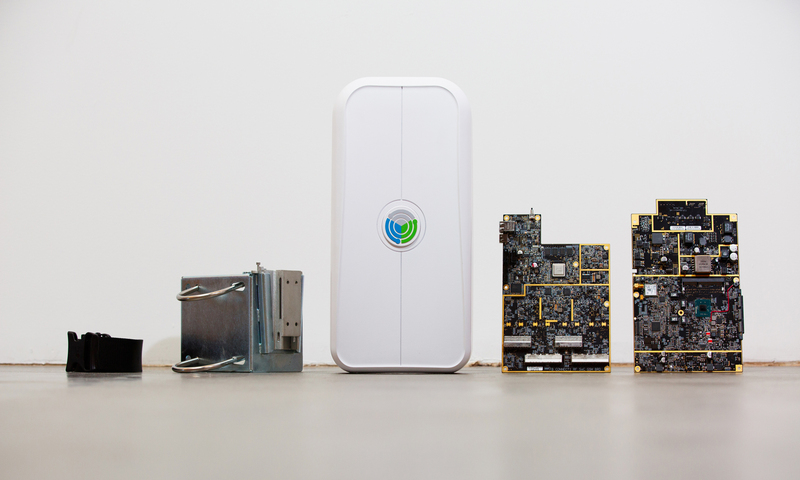 Today we are announcing the OpenCellular access platform, and over time, we will be open-sourcing the design. We will also work on other elements like the software management system, hardware design, baseband, amplifier, filter, mounting device, and antennas. One of the reasons the expansion of cellular networks has stalled is that the ecosystem is constrained. Traditional cellular infrastructure can be very expensive, making it difficult for operators to deploy it everywhere and for smaller organizations or individuals to solve hyperlocal connectivity challenges. It's often unaffordable for them to attempt to extend network access in both rural and developed communities. In many cellular network deployments, the cost of the civil and supporting infrastructure (land, tower, security, power, and backhaul) is often much greater than the cost of the cellular access point itself. One of our goals was to make architectural and design improvements that would result in lower costs associated with the civil and supporting infrastructure. With OpenCellular, we want to develop affordable new technology that can expand capacity and make it more cost-effective for operators to deploy networks in places where coverage is scarce. By open-sourcing the hardware and software designs for this technology, we expect costs to decrease for operators and to make it accessible to new participants. We have implemented an access platform that can support a wide variety of wireless network standards, from 2G and LTE to Wi-Fi access points. Anyone can customize the platform to meet their connectivity needs and set up the network of their choosing, in both rural and urban areas. For instance, the system, due to its on-board computing and storage capacity, can be configured as network-in-a-box or purely as a cellular access point. Radio with integrated front-end: On the radio subsystem, we have multiple options based on a software-defined radio (SDR) or system on chip (SoC). The SDR and SoC versions support various open source and commercial cellular stacks. The system supports two configurations: as a full network-in-a-box, when the daughter card is combined with the GBC board; and alternatively as an access point, when the daughter card is operating alone (only the SoC version supports this configuration). High-level block diagram of the system. We wanted to ensure that the device could withstand some of the harshest conditions in the world to give it maximum flexibility for deployment. So we designed an innovative mounting solution that can handle high winds, extreme temperatures, and rugged climates in all types of communities around the world. The device can be deployed by a single person and at a range of heights — from a pole only a few feet off the ground to a tall tower or tree. Components of the system (from left to right): strap, mounting bracket, enclosure, RF board, GBC board. It's important for the system to function without much maintenance or service overhead, especially if it's located in a remote area where technical experts aren't readily available. To this end, we are extending an existing open source, real-time operating system that is easy to monitor and run remotely. The system can also reconfigure itself and issue alarms when additional support is needed. The first implementation of our platform will be available this summer. But it will be an ongoing effort developed with community support. We are currently testing the system in our labs at Facebook HQ and working with OEM and ODM partners to make the OpenCellular platform widely available. So far in our lab at Facebook, we are able to send and receive SMS messages, make voice calls, and use basic data connectivity using 2G implementation on our platform. We also aim to partner with TIP members to select trial locations for further validation of technical, functional, and operational aspects of the hardware. This is the first reference design for the OpenCellular platform. We will continue to work on OpenCellular by iterating on the design to further reduce the cost and improve efficiency. We will collaborate on this with members of the community by soliciting feedback and ideas, and we're interested in finding new applications for the technology and want to hear ideas from the community. We also aim to contribute OpenCellular to TIP so everyone in the ecosystem can benefit from this technology. Our goal is to build an active open source community around cellular access technology development. If you're interested in learning more about OpenCellular, please send your information to opencellular@fb.com. This is a huge opportunity to improve global connectivity, and this journey has just started.